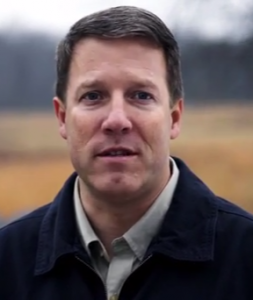 PA-6: DCCC Giving Up on Parrish? Apparently, Democrats aren’t confident in Mike Parrish’s ability to win PA-6. That’s the report from Nathan L. Gonzalez of Roll Call, who also moved their rating from Republican Favored to Safe Republican. Parrish first decided to run for the seat in 2014 and initially had the DCCC’s support in that contest, but a combination of a number of factors (the retirement of Rep. Gerlach, the entrance of Manan Trivedi, Parrish’s Republican past) led to him dropping out. In June, Parrish announced that he was running in 2016 while the DCCC stood on the sidelines. It looked like he would face a primary opponent in West Whiteland Township Supervisor Joe Denham until Denham bowed out. The former Army Aviator also had a poor third fundraiser quarter with Congressman Costello vastly out-performing him. Now Gonzalez is suggesting that the Democratic establishment is still looking for an alternative. PoliticsPA reached out to the Parrish campaign and the DCCC but have yet to hear back. The NRCC, however, wasted no time celebrating this revelation. I met Mike several times and talked at length. A nice guy, but I felt he did not seem to have what it takes to run a vigorous campaign, especially in the sprawling 6th. Romney only carried the 6th by 51-49%, so as difficult as it would be, the district could be flipped in a wave election with a lot of money behind it and a strong candidate. The party establishment seemed too quick to rubber stamp him and push Joe Denham, whom I have not met, out. Is it too late for Joe to rejoin? Or is there another Bob Edgar out there? Someone with strong beliefs in reforming the system. What about an open primary, although there could be risk in a very low turnout election of a crackpot being nominated? More questions than answers. Maybe wishful thinking, too. KSDF – yeah definitely not gerrymandering….. The alternative is sitting in the seventh. Maybe Parish can then go and give Republican nominee Trump or Cruz money? @Montco, It’s a Cook PVI R+2 District. The Democrats have zero bench in PA-6 (hence Trivedi being the nominee 3 times in a row despite losing by 14%, 14%, and 12%). Chester County only has one Democratic row officer (Kathi Cozzone, the minority Commissioner who lost in Sen. Rafferty by 23% in 2014), one Democratic state legislator (Sen. Dinniman), and one Democratic judge (Judge Cody). The gerrymandering BS is just spin. So 1 out of 13 judgeships, 1 out of 12 county offices, 0 out of 3 congressional seats, 0 out of 9 State House seats, and 1 out of 6 State Senate seats. 3 out of 43 ain’t bad. John Galt: I assume (and pray) you are kidding. DCCC gives up on candidate who has shown he is incapable of winning. Film at 11. Maybe the problem is that being a Republican was too damaging to Parrish, and he hasn’t fully recovered. The Republican philosophy and governance has been detrimental to the entire country, so no surprise that former members of the GOP cult need more time. Doesn’t matter who runs for the Dems, the district is so gerrymandered that anybody who runs as a Repub will win. It could be a box of rocks, if it has an R after it 6th District voters will elect it. In fact, that’s pretty much what happened in 2014.